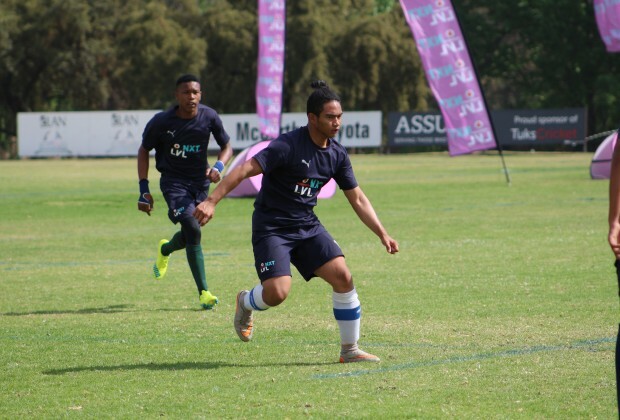 Defender Waleed Sayed says that competing in the final of Vodacom NXT LVL was an accomplishment and believes that he has picked up vital skills from his coaches. The final took place on Sunday at 15:00, where the Fish team overcame the Radebe team, but it was a learning experience for all involved in the final stage. “I have a learned a lot from the former defender Lucas Radebe and Cyril Nzama, not forgetting Simphiwe Dludlu, whom I call my coaches. I have learned to position myself as a defender, how to move and tackle the opponents. I feel like a professional already. “It was nerve-racking to make it in the finals. It is really an accomplishment for all the 32 players from both the Radebe and Fish Team. Players need to be humble and they will be treated the same, and the coaches will see how you behave in and off the field. Always be well respected to everyone and treat them the way you want to be treated.